San Francisco has more drug users than students enrolled in its public high schools, according to a recent Health Department survey KTVU news reports. The most recent citywide health department survey about Hepatitis C and drug users produced the data. There are about 24,500 injection drug users in San Francisco and 16,000 students enrolled in San Francisco Unified School District, the San Francisco Chronicle first reported. The health department has increased efforts to distribute naloxone to first responders, street health teams, homeless drop-in center workers and library staff people. The drug reverses opioid overdoses immediately and is designed to prevent people from dying. The department also provides methadone on demand and buprenorphine, a medication that helps people fight opioid addiction. Also of note, San Francisco handed out a record 5.8 million free syringes last year — about 500,000 more than in 2017. It also spends $1.8 million a year on needle cleanup. Last year there were 193 drug overdose deaths, of which 112 were from opioids, the Chronicle reported. 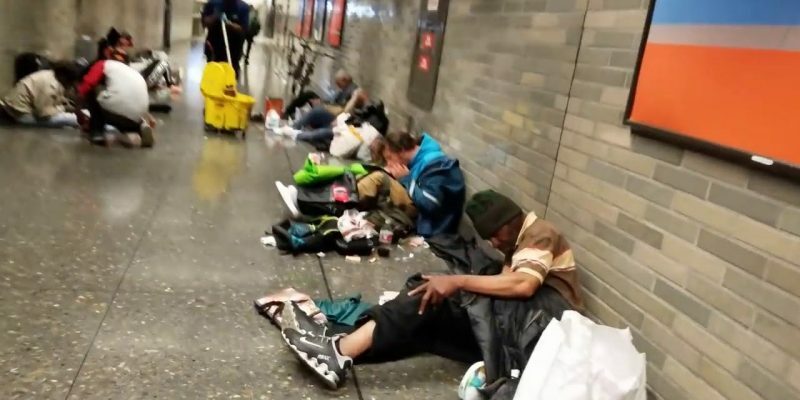 This is quite literally what a city run by Democrats looks like: poverty, addiction, desperation, and hopelessness.